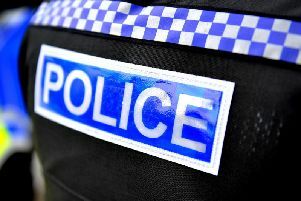 Police are appealing to witnesses to the earlier collision on the A27 in which a lorry driver died. The accident happened at 2.20pm today but is still causing huge delays around Chichester, Fishbourne and Emsworth. Click here for the earlier report. The A27 remains closed westbound, with traffic queueing on the A259 diversion route from the Fishbourne roundabout to Havant. Speaking from the scene, Inspector Stuart Goodwin said: “At 2.20pm this afternoon, there was a a road traffic accident involving two heavy goods vehicles on the westbound carriageway of the A27 between Chichester and Havant. Explaining the reason for the road being closed, Inspector Goodwin said: “The Collision Scene Investigators are conducting a thorough investigation which means that unfortunately we have had to close the road for a number of hours.